Chaletfinder is one of the UK's premier ski chalet booking agents and we boast an incredible array of ski chalets. France, Austria and Switzerland are just some of the great locations to pick from here at Chaletfinder. 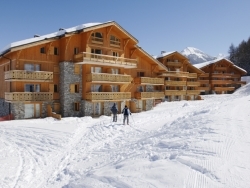 Once you have used Chaletfinder to locate the perfect ski chalet in France, your group will be in for a treat on the very best ski slopes that the French mountains have to offer. With many great resorts to go snowboarding or skiing in France, such as Meribel, Morzine and Chamonix, you will be spoilt for choice. France is established as one of the world's top ski destinations and there is actually more kilometres of piste in France than in any other leading European destination. Our chalets are ideally situated to take full advantage of this vast ski network, located in the most breathtaking of backdrops. You can choose from catered, self-catered and luxury chalets in France as Chaletfinder have a large and varied range of properties to choose from. 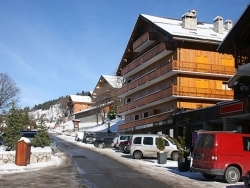 Accessibility - Ski chalets in France are certainly amongst the most accessible for holidaymakers in the UK and Europe and ski lodges in Chamonix, Meribel and Morzine will generally only be a short flight away. Diversity - The ski slopes in France are amongst the most diverse and varied out there and ski chalets in France have to be seen to be believed such is their immense luxury and design. So if you want to go skiing in France but want a little more variety, let Chaletfinder locate the ideal ski chalet for you. Enjoyment - Anyone who has had the chance to ski in France will know just how fun-filled and enjoyable the major resorts are and just how great the ski lodges and chalets are for groups of all sizes and skiers of any ability. 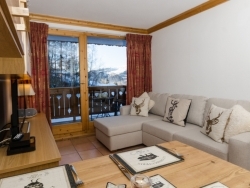 Chaletfinder should be your first port of call when looking for ski chalets in France and we have found the perfect ski accommodation for thousands of satisfied customers. 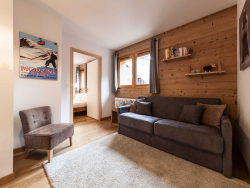 Skiing in France will provide an experience like no other and if you're looking for a ski chalet in France, let Chaletfinder do the hard work for you and find the perfect ski accommodation for your requirements. 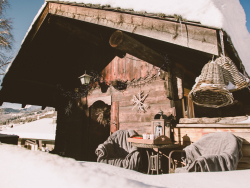 Chaletfinder has ski chalets in all the major French ski resorts - simply look through our website and you'll be blown away by our range of French ski chalets. If you can't find what you're looking for, just give us a call on +44 (0) 161 408 0441 or fill in our online enquiry form and we'll get back to you. [short_description] => Soldanelles is an exceptional two bedroom apartment in a building that has become increasingly popular over the past few years. Soldanelles is an exceptional two bedroom apartment in a building that has become increasingly popular over the past few years.